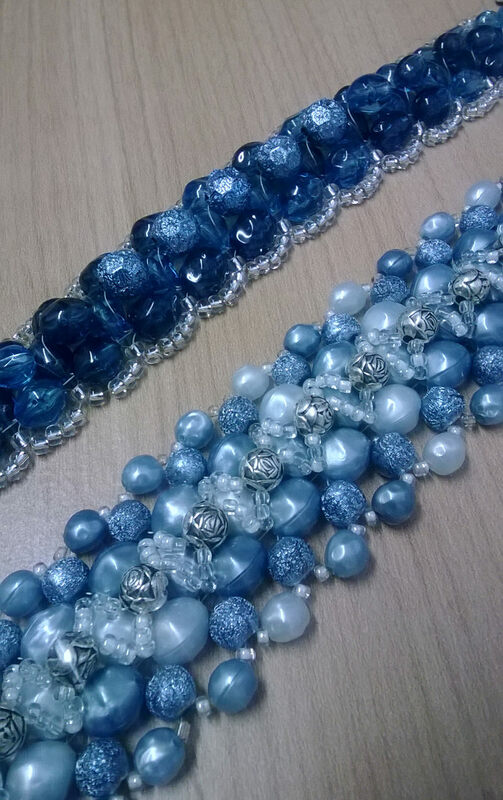 I have discovered a problem with making jewellery for gifts….. I want to keep them all! So I have had to make plenty to ensure a couple are spare. Here are the latest offerings heading for family and teachers..
Oooooh which do I keep for myself? P.S. 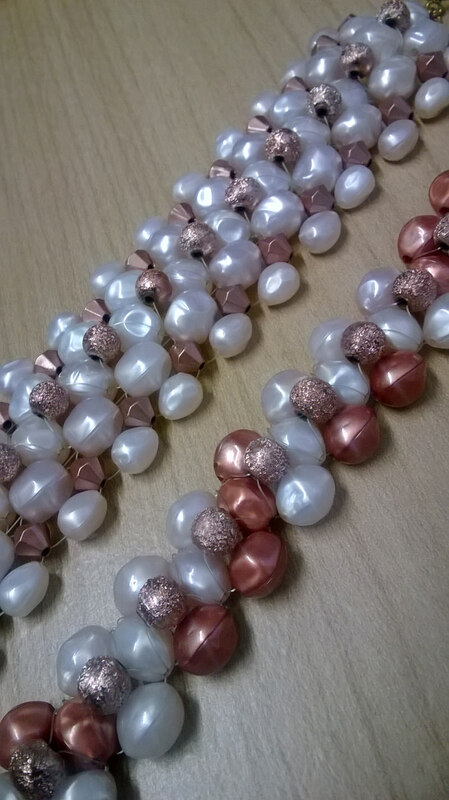 There were a couple more but they got snapped up by my Mum….well she is worth it! 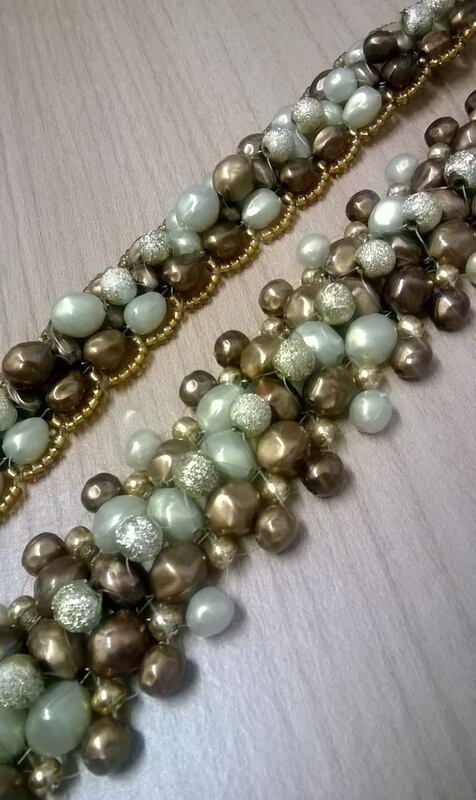 This entry was posted in Uncategorized and tagged Beaded Bracelets, Beading, Jewellery making on December 19, 2013 by blackflowercreative. 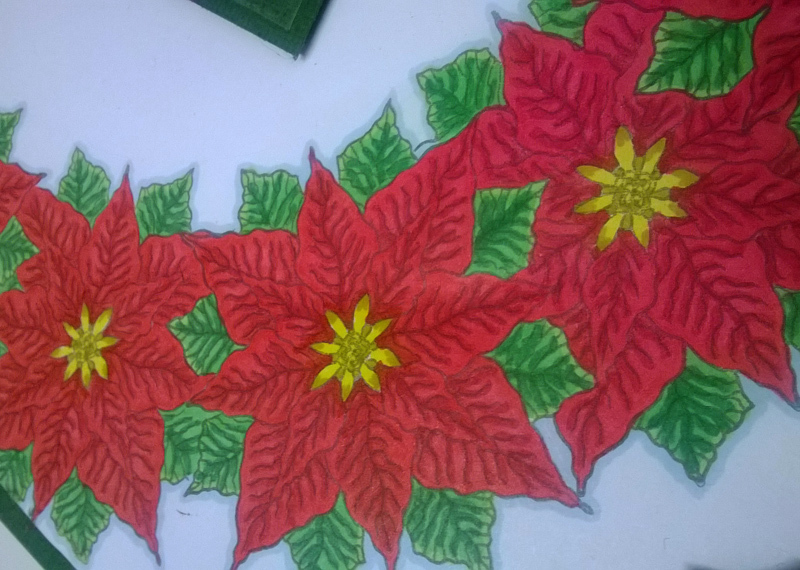 Another card featuring the very beautiful poinsettia, albeit not in its entirety but just snippets…..
A very simple card using just one ink pad, but quite effective and pretty. 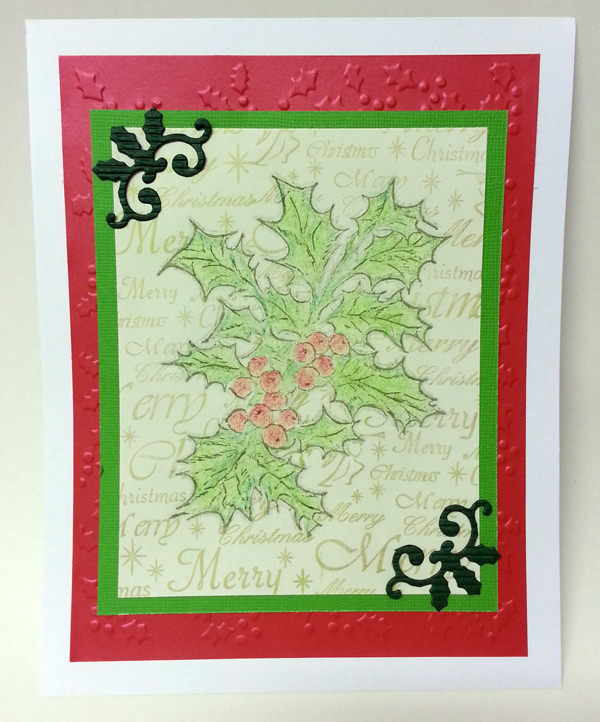 This entry was posted in Uncategorized and tagged Christmas cardmaking, Christmas stamping, Poinsettia, Poinsettia stamp, stamping on December 18, 2013 by blackflowercreative. I love Poinsettias; they are always so bright and jolly. I also love this Poinsettia stamp and it always gets used every Christmas. 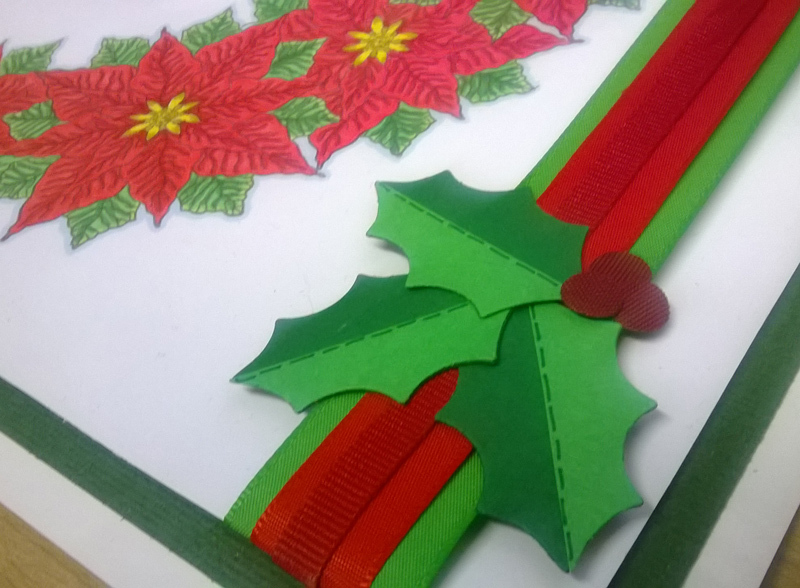 This year I have stamped and coloured it like this…..
A little ribbon and some Holly die-cuts and the card is finished. All for now. Much Christmas preparation still to do. 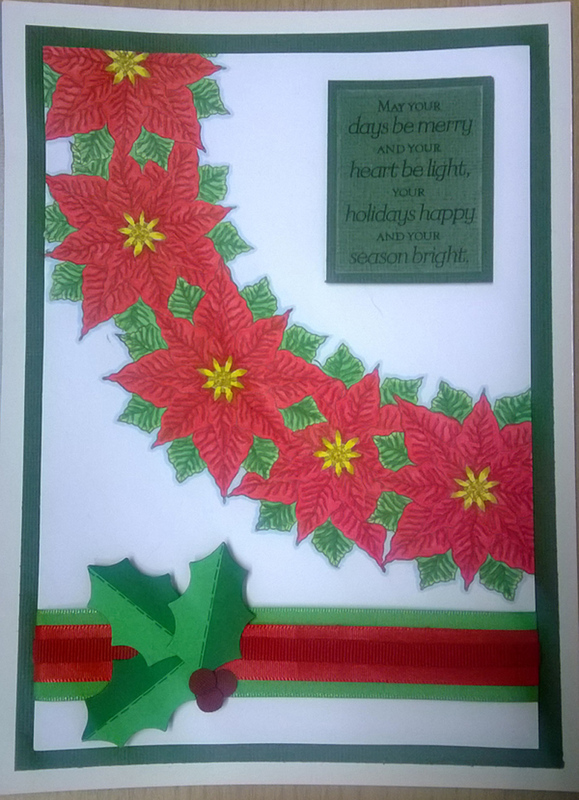 This entry was posted in Uncategorized and tagged Christmas cardmaking, Holly die cuts, Poinsettia, Poinsettia stamp, stamping on December 17, 2013 by blackflowercreative. A traditional and simple Christmas Card today…. 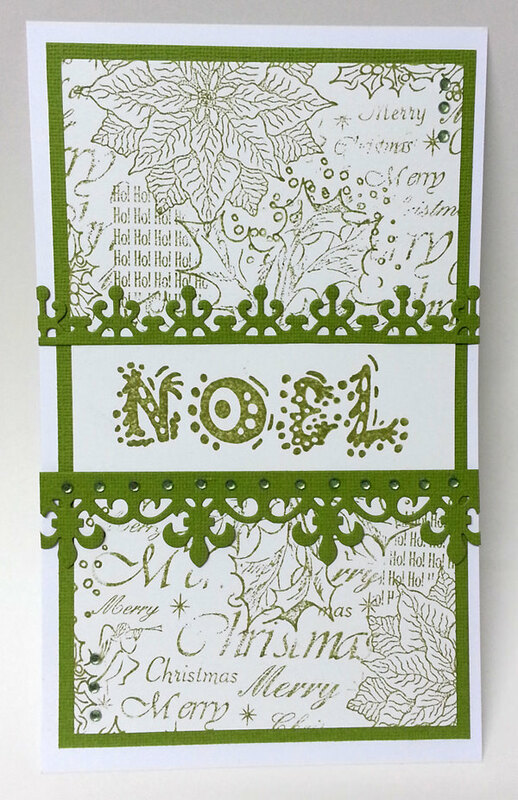 I adore this Holly sprig stamp and find it extremely versatile. However, here it is in a very simple form simply stamped and coloured with watercolour pencils. 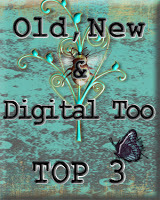 I masked the image and used a text stamp for the background. 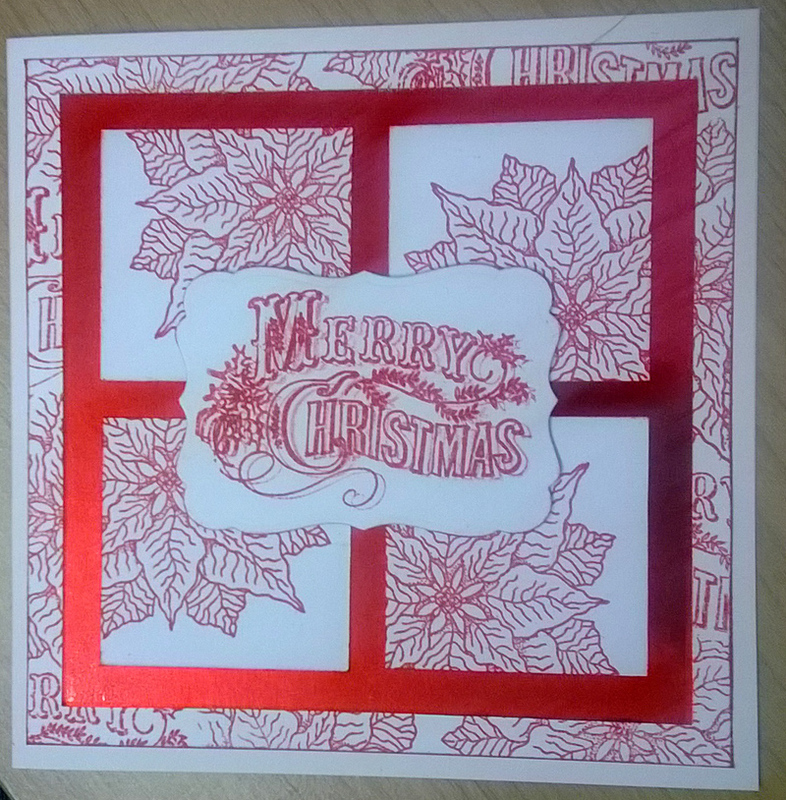 A little embossed layer and Spellbinder Holly Motif corners and another Christmas card is finished. 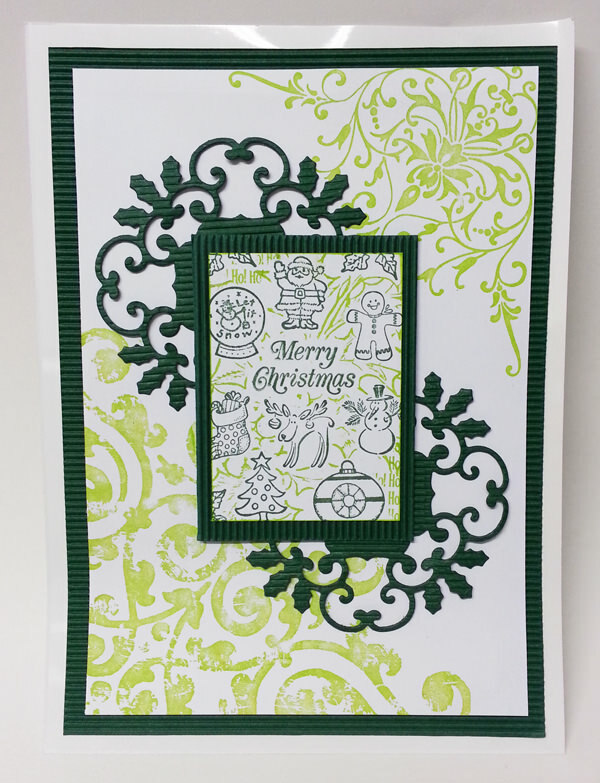 This entry was posted in Uncategorized and tagged Chrismas Card, Christmas stamping, Handmade card, Holly, Spellbinder Holly Motif, stamping on December 10, 2013 by blackflowercreative. Hello again and here is today’s Christmas card. 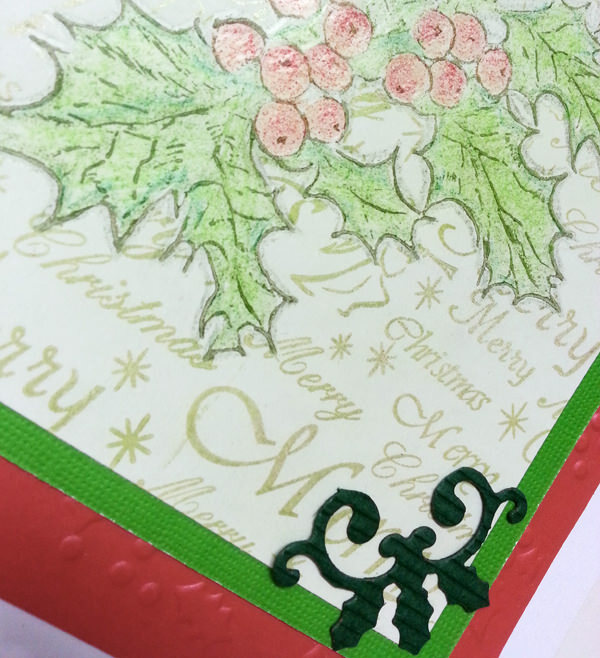 I created a topper by stamping mini Christmas images around a Greeting stamp with a larger Holly design in the background. 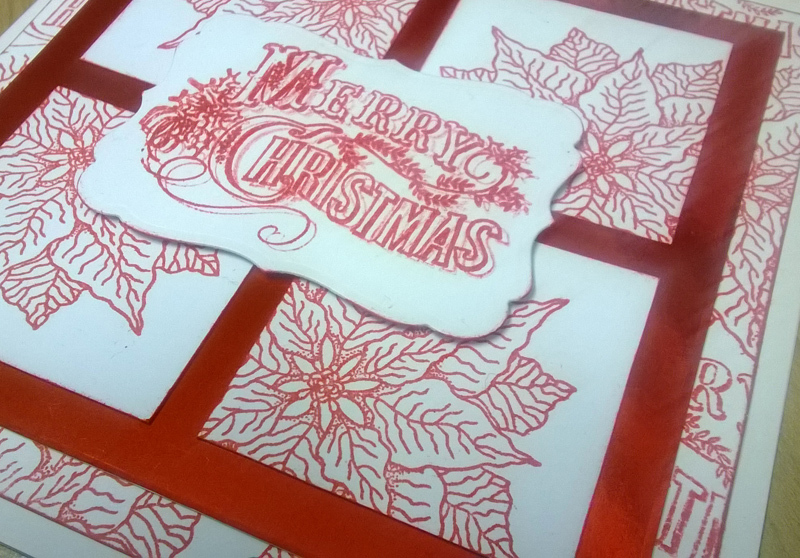 I then added some Spellbinder Holly Motifs and flourish corner stamping. 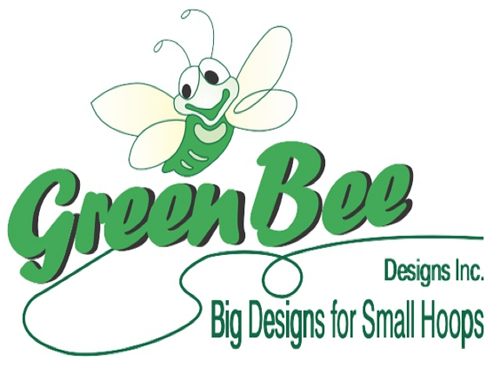 I like the combination of lime green with the more traditional Christmas green for a fresher look. Thanks for visiting, please come back again for another Christmas Card soon! 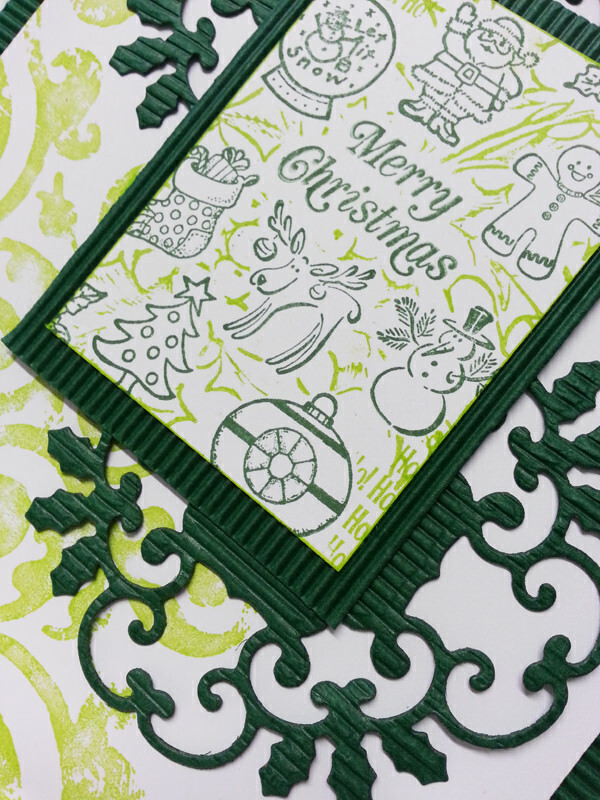 This entry was posted in Uncategorized and tagged Christmas stamping, Flourish stamping, Green Christmas Card, Handmade Christmas card, Holly Motif Spellbinder on December 9, 2013 by blackflowercreative. It is a large card made from a medley of mini stamps. 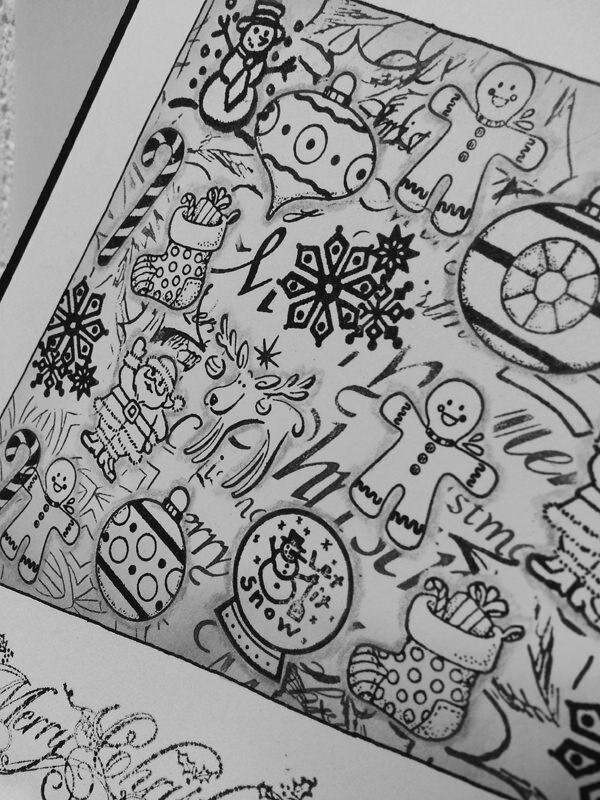 After stamping the greeting I masked off areas which I filled with mini Christmas images. I then masked each image and over stamped with some large images. Pencil shading really helps the images jump out and a fine hand drawn black outline adds the final finishing touch. 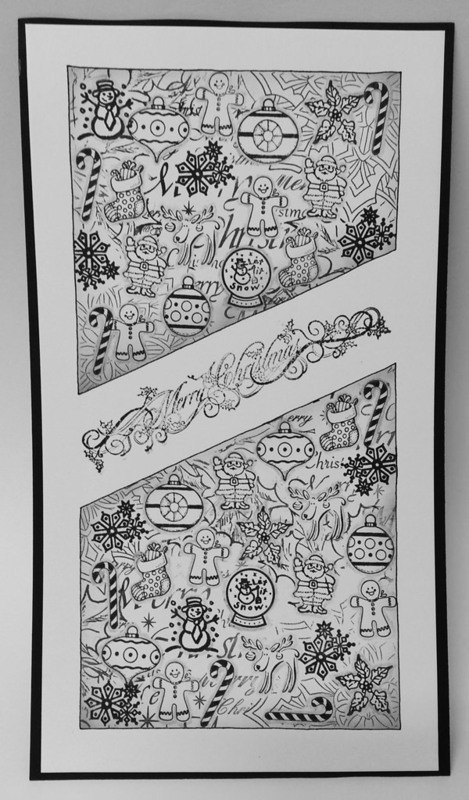 This entry was posted in Uncategorized and tagged Christmas Card, Christmas crafting, Christmas stamping, Handmade Christmas card, stamping on December 6, 2013 by blackflowercreative. I can’t believe it is December already, this year is flying by. 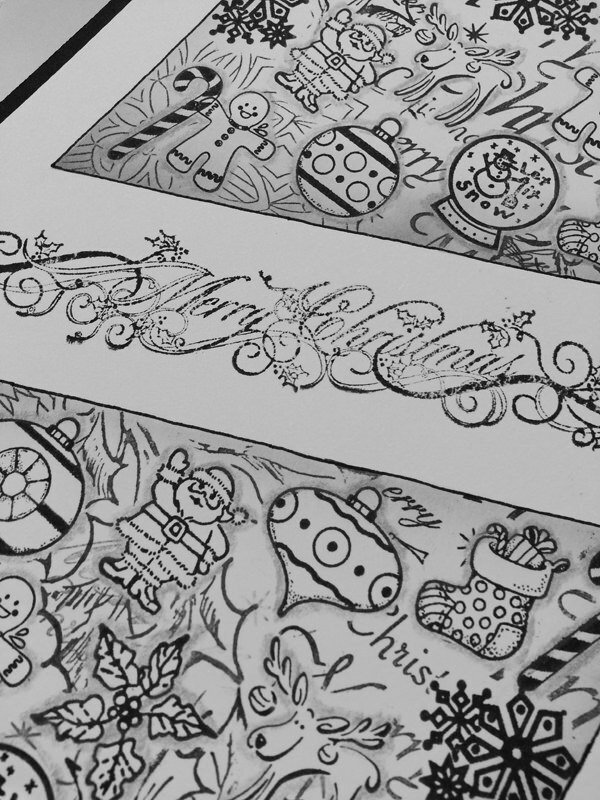 Anyway, here is today’s Christmas card, which uses a medley of Christmas stamps. 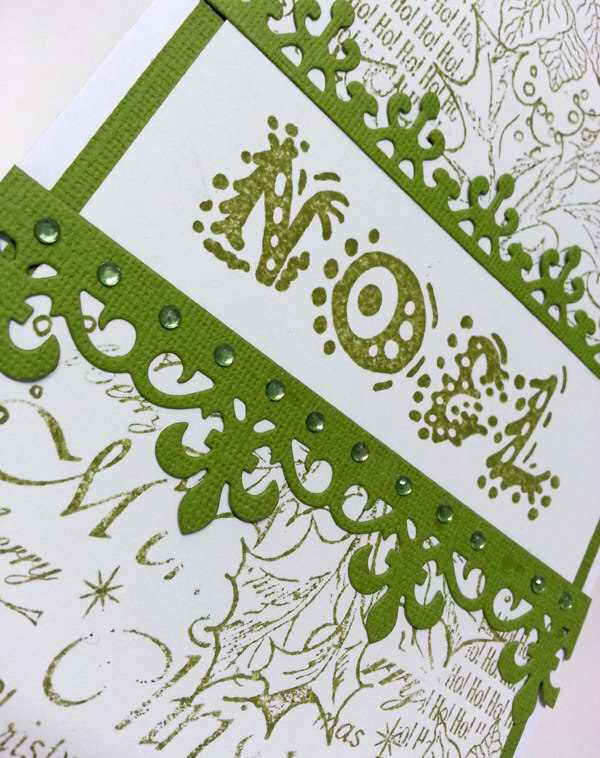 I started by stamping “NOEL” using a green inkpad; this one is called artichoke and is a particularly lovely shade of green. 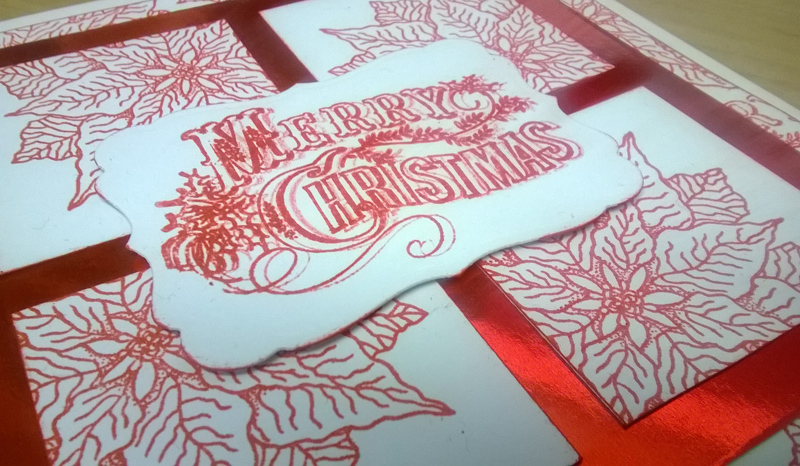 I then masked the stamping and collage stamped the remainder of the card using a plethora of christmas image stamps. A simple layer of co-ordinating card and a spellbinders border or two and the card is finished. I have many Christmas cards to share so please visit again soon. This entry was posted in Uncategorized and tagged Christmas Card, Christmas crafting, Christmas stamping, Handmade card, NOEL, Poinsettia on December 3, 2013 by blackflowercreative.